Yup, it's that time again. Around this time towards the end of the season I like to go through the whole RV and clean. Sounds a bit compulsive doesn't it? Well, it is. Sort of. Look at it this way, while cleaning nooks and crannies, appliances, displays, closets and cabinets you can easily spot things that are about to break or that already have broken. Inside and outside, on top and underneath. A thorough look around can save you a ruined trip down the line. Engine bay, storage bays, batteries, fridge externals, water heater, and generator are all easily checked before something goes wrong. Sounds much more reasonable now... doesn't it? I usually begin in the galley. Empty the trash, take the bucket out and look down inside the cabinets. Lots of cables, hoses and screws under there. If anything is loose, tighten it. See any leaks? Fix them now before it becomes a REAL problem. Clean the stove-top and microwave (or gas oven). Get close, sniff! Smell any gas? Find the leak and fix it!! Clean the sink(s), look inside the cabinet at the sink drains... any new stains? Maybe it's dribbling a bit. Of course, if your water is on, test it! Put a hand on the sink drain.. is it loose? Does the sink move? You don't have to YANK on it... just see if gentle pressure causes any obvious movement. If so... tighten the sink mounts and/or drain. On to the cabinets. Open them carefully as contents may have shifted while traveling. Believe me, getting hit on the head isn't nearly as fun as it sounds! Look and feel for water inside (on the roof) of your storage cabinets. Sometimes water leaks from the roof someplace (vents, etc.) and travels down the sloped roof into the overhead storage cabinets. Better to find that early, before it causes too much damage. This is also a good time to organize and sort through what you're carrying around. I'm a pack-rat, so this step is really important for me! On to the bathroom. Check under the sink the same way you did for the kitchen/galley. All OK? Move on. My water heater is actually in a cabinet under the lav sink, so I check here for leaks and loose fittings. I can also see the external "city" water hookup here. I have found that one leaking on multiple occasions, so I check it carefully. Since this cabinet also has a 12v and a 120v outlet, I check the wires for fraying or breakage. If you find something... make sure you know how to turn off the power to fix them!! If your water is on, check the functionality of the toilet. Good flush, good "swirl?" Move on to the back and sides of the toilet... any leaks? Feel around for water when it's being flushed. Check the base, any leaks here? Look into the shower, any cracks in the surround? Are the valves leaking? How about the shower head? Does it need a cleaning to get rid of mineral deposits? This can really reduce your pressure! How about the outside? Cleaning the exterior is always a good idea. Especially the roof. Take a good look at all the seams and seals on the roof. Around vents, fans, air conditioning, antenna wires... everything! If you see gaps, fix them! If you're up to it, remove the screws holding your A/C shroud on and clean inside. If it looks like it's corroding or there are cracks in the tubes, probably time to think about repair or replacing the unit. On the sides, you've got your furnace and fridge... open the access door and check for obstructions and even critters! Take a look at your water heater, is it leaking from the drain plug? Take a look at your generator, any obvious oil leaks? Clean all of this with a rag and the appropriate cleaner. You will be surprised at what you can find when something is clean! Check the oil level for your generator. Check your storage bays for leaks and anything else that looks amiss. Check all your battery connections here and in your battery storage area as well. Clean them up. I use a wire brush and some baking soda dissolved in water. Less corrosion equals less resistance and better performance. While you're here, check the battery water level. Add distilled water if needed. The engine bay is a great place to look through. Clean it as best you can, while still looking for obvious leaks and damage. 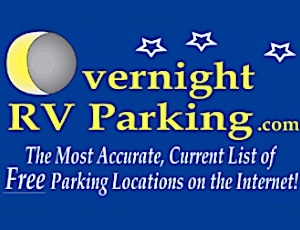 I'm sure you have particular areas in and on your RV that you know would be a good idea to clean and check. An ounce of prevention is worth a pound of cure. All of this is all REALLY easy when you're cleaning. You're already there, so the checks are a "same time" exercise. Maybe I should look at this the other way around? Since I hate cleaning... maybe I'm checking and fixing things and the cleaning is just to be able to SEE and REPAIR. Hmmm. That's a great rationalization. I'll stick with that!